The Distributed Consensus Technology Road to Direct Democracy? 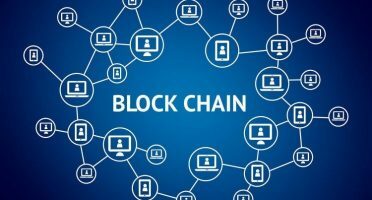 By now, you have probably heard of the new internet technology, blockchain. The blockchain is the technology behind Bitcoin which started the digital cryptocurrencies. Blockchain allows for a secure and decentralized way to record and verify transactions. Unlike traditional transaction systems, a central authority need not provide proof of the transactions. For example, think of the role banks play in our economic environment. We deposit cash into the bank by using accounts to store information about how much cash we own at a given time. We can write checks or use debit/credit cards to withdraw cash. The bank verifies we have enough cash to honor the check or debit/credit card transaction. The bank is the central authority around which we and the people or organizations we interact with to record and verify cash transactions. We and the people or organizations we deal with depend wholly upon the accuracy and security of the account records kept by the bank. Where distributed consensus technologies, such as blockchain, differ is that there is no central authority to verify and secure the record of transactions. Rather, the authority is distributed among the participants in the network. Every time there is a transaction, copies of the transactions record are sent to the network participants. Then, whenever a transaction must be verified, the network is polled to confirm that most transactions record copies agree on the transaction. This is how blockchain technologies work. Blockchain has been called the “new internet” and governments all around the world have studied using blockchain in delivering public services. However, as with all technologies, blockchain has inspired several alternatives. Hashgraph is built as an alternative to the blockchain. According to Swirlds, the licensing company, Hashgraph is built on the concept of “virtual voting.” As Hashgraph members create a transaction, knowledge of the transaction is spread throughout the community within minutes. One difference between blockchain and Hashgraph is that transactions are much faster on Hashgraph because only the effects of the transaction must be recorded. Blockchain requires consulting the old blocks for verification. Another difference is that Hashgraph uses “virtual voting” in which the nodes can predict how each node will vote on a particular transaction because each node knows “what each node knows, and when they knew it.” Virtual voting helps make Hashgraph quicker and more secure than blockchain according to Swirlds. Another distributed consensus technology is the graphchain. The major difference between blockchain and graphchain is that graphchain does not store blocks or transaction information. Information is stored in the nodes or edges of the graphchain. “[N]odes are identified by a public key and its information is controlled by the corresponding private key holder. Edges represent relationships between the entities controlling nodes and some of these relationships can only be added to the graphchain if they are signed by the private keys of both connected nodes.” The nodes determine the type and conditions of the relationship that affects edges and the information the edges contain. The purpose of the graphchain is to create an “internet of People” in which individuals and organizations can directly contact each other and discover—with the node owner’s permission—information about the node owner. A possible application, the Fermat Project, is to create an “open social graph” and to support “device-to-device communication” so people can be directly accessed anywhere on the Internet of People. A “Human Unique Identifier” (HUID) which is unique to each individual and allows complete control of the individual’s personally identifying information (PII). A variation of blockchain’s “Proof of Work” miner linked to each individual. A blockchain miner performs the complex calculations to make the blockchain work. The miner in the Cicada Platform provides the distributed proof of work that makes the direct democracy portion of the Cicada Platform operate. Does Distributed Consensus Technology Solve Democracy’s Principal-Agent Problem? A major challenge of representational democratic government is the principal-agent problem. With increasing levels of distrust in government and elected representatives, could distributed consensus technologies such as the ones outlined above help solve or even eliminate the principal-agent problem of representational democracy?